For the CAD and Machine Components course of junior year, the final project was to design a gearbox under certain constraints. The group that formed my team and I set out to do a very detailed and meticulous mechanical analysis for our gearbox so that the professor (who is notoriously attentive to detail) could not justify giving us anything less than an "A" on the assignment. Because my teammate Conor and I were in a Mechanics of Materials (a.k.a. Strength of Materials) course at the time, we were very excited about applying the knowledge we were gaining about how materials act under forces and stresses to our gearbox. We spent the time to go through and calculate the stresses in the keys (the part that transfers torque from the shaft to the gear), the shafts, the bearings, and all other components to ensure the gearbox would be safe under the specified load. I not only learned the practical end of a course I was taking, but understood the effect of the science and math on design. For instance, the shafts had to have particular sizes, and certain materials had to be selected to remain in bounds of practicality and cost. 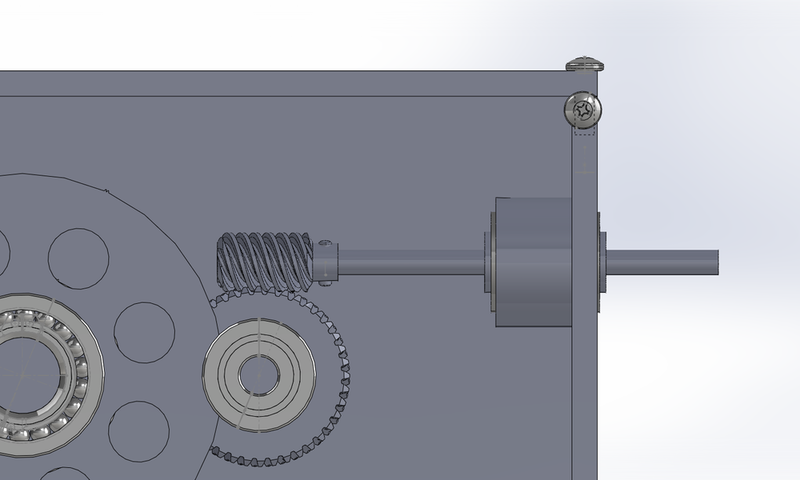 While the gearbox was not designed to be pretty to look at, it certainly would not fail under the constraints of the assignment. We probably spent 20 hours each on this project.